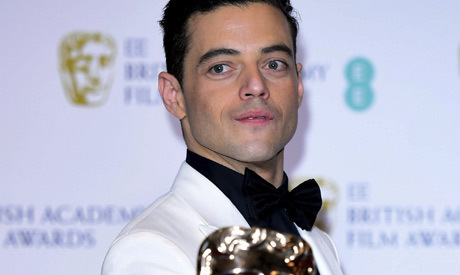 Rami Malek picked up a Bafta for best actor on Sunday for his role as Queen's legendary frontman Freddie Mercury in "Bohemian Rhapsody". The award was the latest recognition for a film on the British rock group's rise, which picked up best actor and best drama at the Golden Globes last month. LEADING ACTOR:Rami Malek, "Bohemian Rhapsody"
LEADING ACTRESS:Olivia Colman, "The Favourite"
SUPPORTING ACTOR:Mahershala Ali, "Green Book"
SUPPORTING ACTRESS:Rachel Weisz, "The Favourite"